The Convention on the Conservation of Migratory Species of Wild Animals (CMS) is an international treaty falling under the United Nations Environment Program and is devoted to ensuring that species of wild animals that regularly migrate, whether on land, through the air, or underwater, are protected, along with their habitats and ecosystems. Currently, 127 countries are participatory members of this treaty. 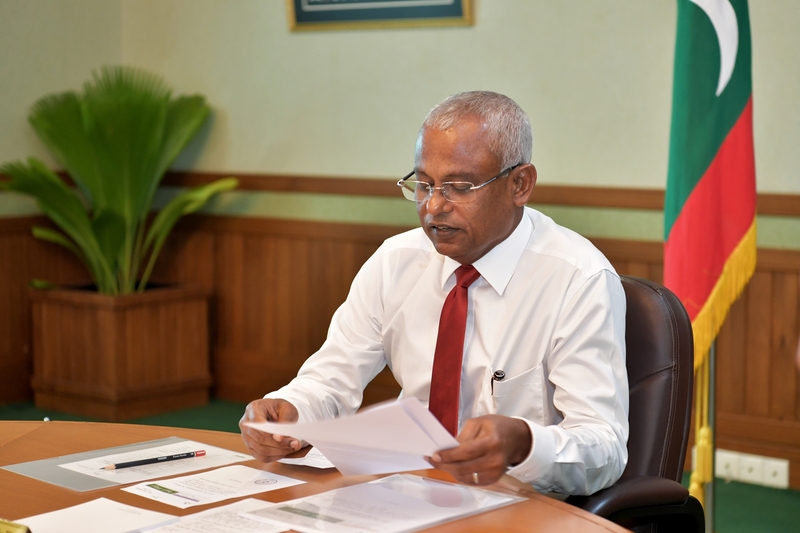 Protecting and preserving the natural environment and life contained therein is a high priority of this government, and the provisions of this convention are in harmony with the spirit of the Maldives’ own laws and regulations pertinent to safeguarding our natural bounty. The convention extends special protections to a number of species, encompassing sharks, turtles, tortoises, dolphins, whales, birds, and manta rays, and calls on states to implement measures devoted to protecting their numbers and habitats. Becoming a party to this convention would confer several benefits to the Maldives, especially with regard to reaching the Sustainable Development Goals pertinent to life underwater, life on land, and partnership for the goals, as well as the goals relevant to the National Biodiversity Strategic Action Plan 2016-2025. The decision was made during a cabinet meeting today upon consideration of a paper submitted by the Ministry of Environment.